Chaos is related to complexity. Some chaotic systems are also inherently complex; for example, vortices in a fluid as opposed to a double pendulum. Both are chaotic and not predictable in the same sense as other systems. But there can be organization in chaos and it can also be quantified. 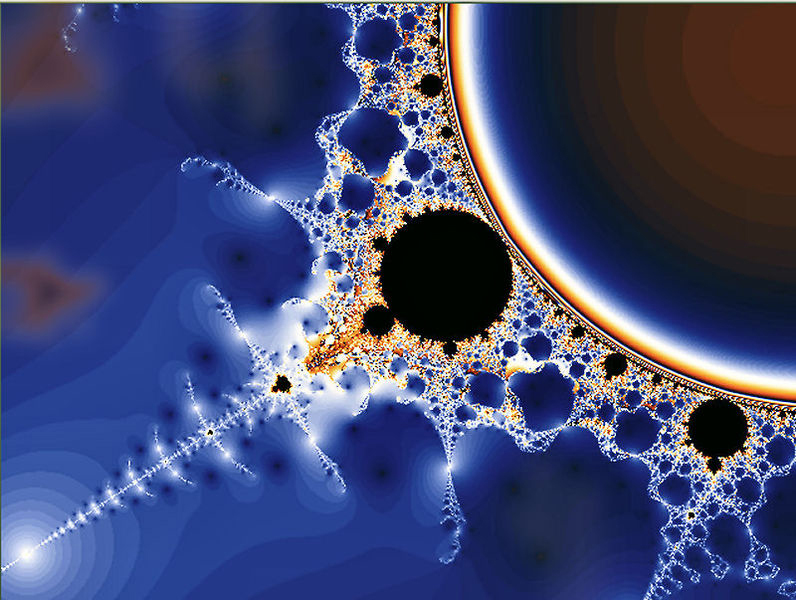 Examples of chaotic systems are beautiful fractal patterns such as in [link]. Some chaotic systems exhibit self-organization, a type of stable chaos. The orbits of the planets in our solar system, for example, may be chaotic (we are not certain yet). But they are definitely organized and systematic, with a simple formula describing the orbital radii of the first eight planets and the asteroid belt. Large-scale vortices in Jupiter’s atmosphere are chaotic, but the Great Red Spot is a stable self-organization of rotational energy. (See [link].) 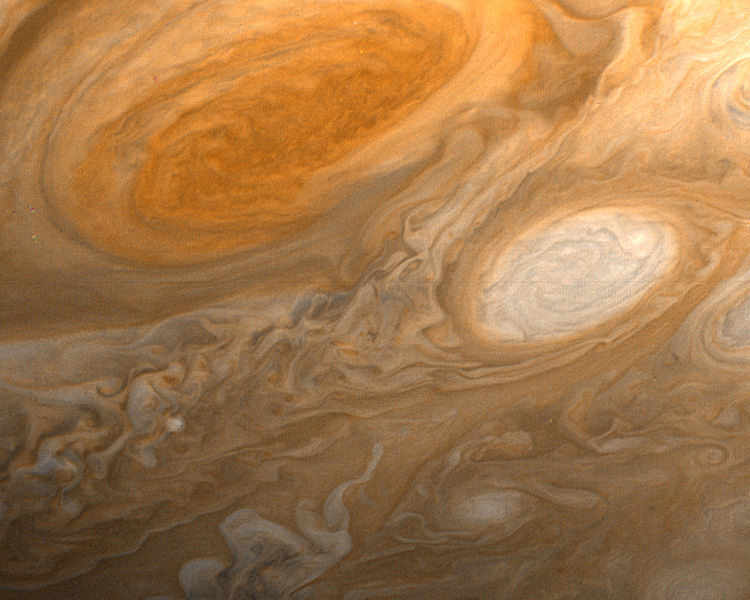 The Great Red Spot has been in existence for at least 400 years and is a complex self-adaptive system. Must a complex system be adaptive to be of interest in the field of complexity? Give an example to support your answer. State a necessary condition for a system to be chaotic.